One final thing to think about is what else you can give to the communities you serve? Have you considered corporate social responsibility? Giving back is at the heart of my personal brand – volunteering my time and experience, or supporting purposeful initiatives that really make a difference is at the core of who I am. 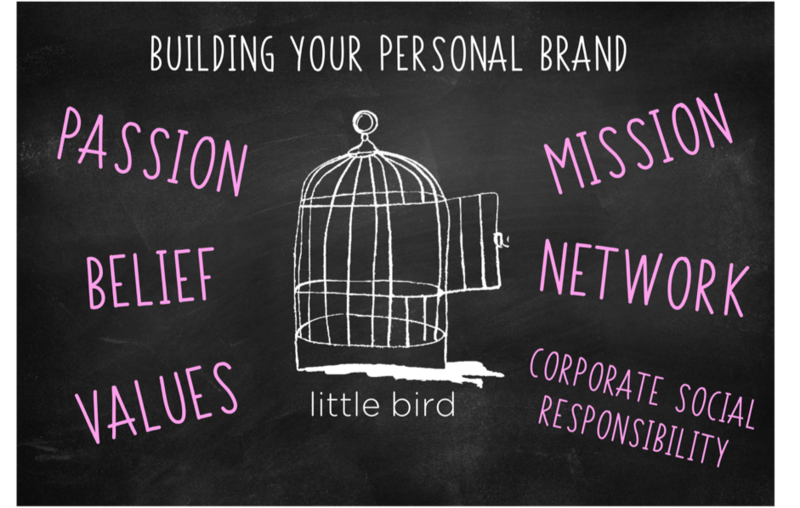 With my brand, Little Bird Products, I published a self-penned book about a little chick who flies to the moon after being empowered to believe in his dreams. Because I believe in every child having the opportunity to read, I pledged that for every book sold, I would donate another one to a child in a less fortunate circumstance. How we give back is a reflection of our core values, brand, and the legacy we leave to the next generation.